If I lived in a perfect world there would be no need for walls at our border. But many of us know we need a wall! If I lived in a perfect world I would have confidence people from other countries coming here wish my country no ill will. But I know some do wish us ill will and perpetrate unspeakable crimes against my people and inevitably cost us billions of dollars! If I lived in a perfect world I could believe there is no need for law enforcement. But we do! If I lived in a perfect world we would never worry that my country would be under assault from peoples from outside our country and even from our own citizens. But we are! If I lived in a perfect world my city and state would have plenty of money for educating our children and helping our own people. But that hard-earned tax money is wasted away and misspent in so many ways! If I lived in a perfect world I would never worry or be concerned that my country’s way of Life is under assault. But we are. Then demonized for having earned too much and succeeded in life after many years of work! If I lived in a perfect world I would have faith that the people who swear an oath to protect and defend after elected to public office would do so. But many times they make excuses as to why they will not! If I lived in a perfect world I would “not” have to bear arms to protect my family and myself. If I lived in a perfect world my children and grandchildren, friends and neighbors would be secure. But we are not secure because of the inaction of our government! The American people live this nightmare delivered to us by the very people “we” have chosen to defend our interests. Past and present leadership both at the local, county, state and federal level have let us down over the years and now because “Americans” have decided we have had “enough” the very gates of hell have opened up on the government the “people” of this great nation have chosen to represent us at the federal level. Why? Because we dare to object to tyranny and the globalists whose plans for the world were disrupted after this last election cycle! Our founders understood this possible future for our republic and gave us a system of government to protect our freedoms. Our founders lived under extreme tyranny and fought back and then after winning the battle against the “Crown,” they gave us our Republic and our Constitution, what a magnificent gift. I pray for this for our future posterity what say you. 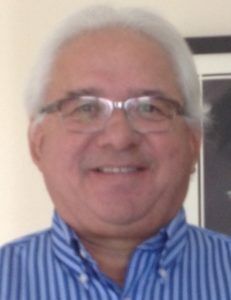 Rivera is a Paso Robles resident who has served on numerous boards and commissions including Santa Maria Recreation and Parks (commissioner and chairman of the board), County of Santa Barbara Private Industry Council (commissioner, chairman and CFO), City of Guadalupe (planning commissioner) and various committees, including the Mayors Housing Task Force. Forget the word “if”. We do not live in a perfect world, we can not afford to immigrate more liabilities and our welfare system is broken by our own who are to lazy to contribute. The least expensive wall to build would be to outlaw welfare and promote tax laws that keep our families together. Wouldn’t it be great to get a tax break for taking care of your parents, including the associated costs? Why pay or liquidate their assets so that you can fund an expensive kennel. How about Conservative and Liberal? Do you “Hate” that too? It’s the ideology that matters not the name. If it was a perfect world … the juxtaposition … arguing the opposite opinion … would straight white male supremacy exist, as supported by an extreme protestant version of Christianity? Respectfully, ask yourself, is this not the dilemma as seen by others? Are we not big enough for all that are here? Inclusion is the meaning and essence of America. Do the rich not need to pay for the social needs and consequences of their businesses? The biggest welfare recipients are businesses, The super wealthy pay, like Mitt Romney, a 15% capital gains tax AT MOST. What worker would not love to pay 15%. I was a banker. I saw the tax returns. Does this society not subsidize the wealthy? Note: Wasted funds … COMPLETELY agreed, reduce public administration and safety salaries and benes, rank and file slowly. WHY doesn’t the gutless GOP support this? Note: Border control AGREED is smart … and inevitable. Have opponents to border control every been to a third world country? Do they want THAT here? Note: Second amendment agreed … but not semi and fully automatic weapons .. can you buy a tommy gun? I can’t. I tried. You do live in and on a perfect world, one that is best left alone by its only inhabitant that causes it intentional, irreversible harm, to all aspects of it, to all of its inhabitants, species and cultures man! Prayer is a waste of time and energy, as there isn’t some benevolent loving father overhead looking over us, if there was how the hell would he allow all of this to happen to his creation? Maybe there once was, but he’s either dead or damn tired of our chit and is ignoring us. From you opinion’s words you dance around with innuendos and hints of isolationism and nationalism, with a big dose of religious overtones tossed in for good measure, all of which exacerbates our problems while ignoring the fact we live in a global community now, whether you accept that fact or not. Isolate this country from the rest of the world this march to a more “perfect union” will surely die. I would actually respect your opinion more if you would name those in our government you accuse of being a threat to “our way of life” rather then dancing around again with hints and innuendos. Then explain exactly what it is you use to define as “our way of life”. What a complete exercise of ignorant phobia, sir! First off “the people” didn’t choose this tyrannical, bigoted, racist, sexist, homophobe, perverted led administration, a “few chosen people” did. The people did speak, and the majority was ignored, making a mockery of the American contention that every votes counts and the majority rule. I suspect the left will severely threaten you for even making these statements. Of course left is currently insane with hate for all of the concepts you spoke of because they lost control of the country in 2016. That was the best thing to happen in the last 30 years. I hate the fact that “The Right” and “The Left” is the way political thinking is defined. By definition, and I bet by design, it implies the Republican thinking is always right and Democrat thinking is always somewhere left of it, or always wrong. It goes to the point that if a Republican says something often enough, no matter it’s accuracy or connection to the actual truth, it becomes right. When you combine that with their new “Alternate Facts” definition, wow, how could a Republican ever be wrong?